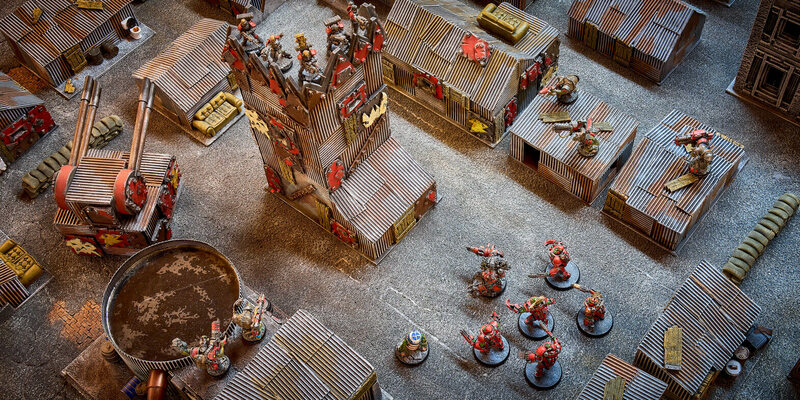 Welcome to the More Terrain Internet Shop! 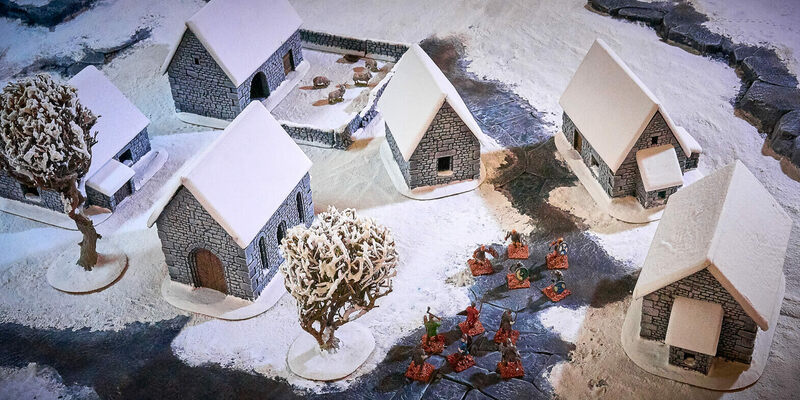 Ursula and Didier offer to Wargamers own designed tabletop scenery in the scale of 25­-28mm. 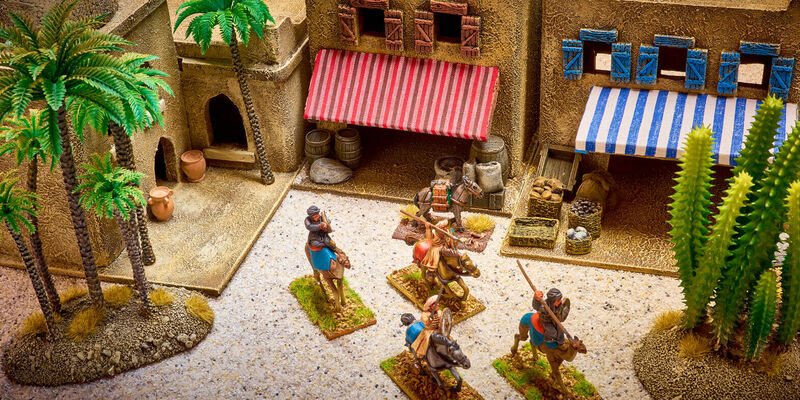 The product range covers models for Fantasy, Science­Fiction and Historical Wargaming. 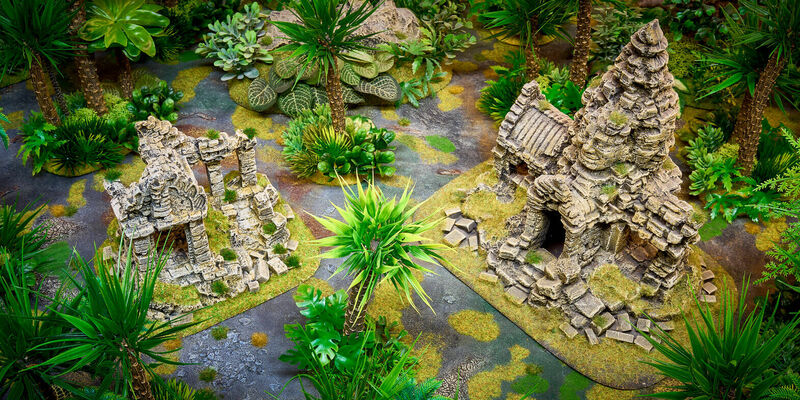 In various categories you will find terrain and complements for your gamingboards and tournaments. 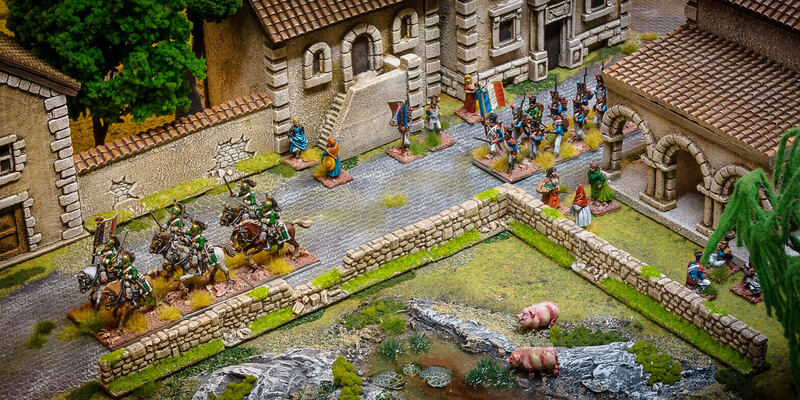 Ruines, temples, houses for different ages and armies! 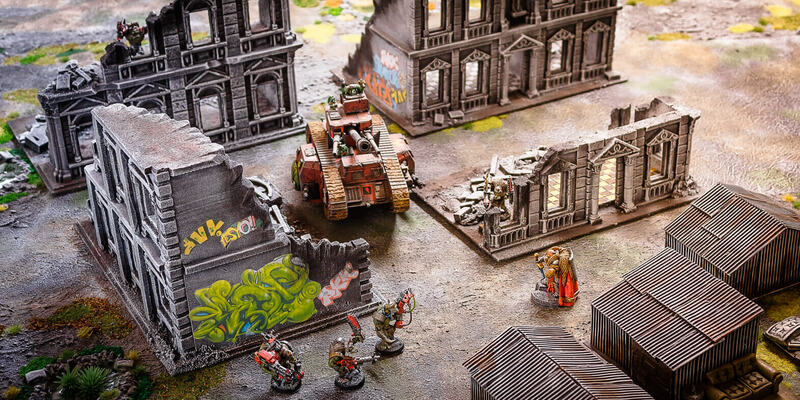 Our detailed terrain is mainly handcrafted by us, ​fully painted​​ and ​ready ­to ­use​​. We appriciate your visit to our online­shop and also to one of the conventions we join reguarly in Germany, Belgium and France! Please find the dates for it on our coverpage. 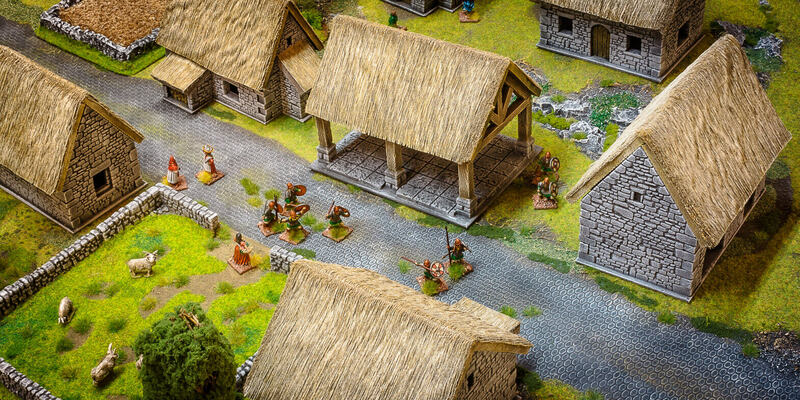 Officially licensed by ​Hirst Arts Fantasy Architecure Inc.